The number of represented positions in Local Lodge just increased by roughly two thirds! 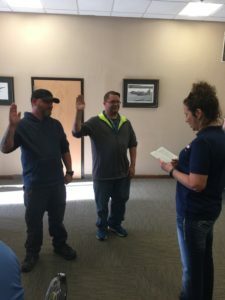 On Tuesday, October 16, employees of VSE Corporation, who perform maintenance and repair on the C-130J fleet, voted in sanctioned Department of Labor vote to UNIONIZE, and after an overwhelmingly “in favor” result, became part of Local Lodge 463. Approximately 130 positions in that shop, all currently staffed by military contractor VSE, have now become represented positions. Local Lodge 463 currently represents approximately 190 positions, but of course there are a few hold-outs (or “scabs”) that refuse to join the IAM and continue to reap the pay and benefits that the IAM has negotiated for them. Over the next few months, the IAM will be working to sign up as many of VSE’s 130 or so represented positions as members of the IAM and Local Lodge 463. Early indications from “intention” votes and signature cards lead the Local Lodge to believe that a gain of approximately 90 or so new members will result from these newly represented positions. Additionally, the IAM will be working with these new brothers and sisters to establish a “First Contract” through negotiations with VSE within the next few months. VSE Corporation is no stranger to the IAM or even our own District Lodge. Several VSE employees at Red River Army Depot just outside Texarkana are members of IAM and part of District Lodge W2. 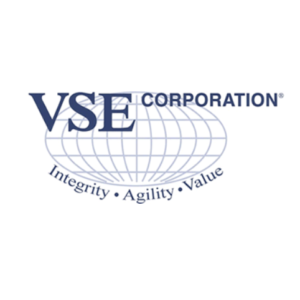 To read more about VSE, you can visit the company’s website www.vsecorp.com. So you may soon see MANY new faces at Local Lodge Union Meetings and the annual Union Christmas Party! This is all great news, and we as a Local Lodge send a big welcome to all our potentially new members. Left: Grand Lodge Representative and Local Lodge 463 Member, Valerie Rodriguez, swears in the first two VSE employees to officially join Local Lodge 463 – Jason Seritt (left) and Arron Stanley (right). ← 2018 Arkansas Ballot Issues – What Do They Mean?